Sometimes you need a real person to talk to. Customer service is a major priority at Mellow. We backed our product with an unprecedented 2-year warranty. We are always ready for your call or email with one of our specialist or actual engineers that work on the Mellow to help you out. Can your e-skate do this? The CYESDT? videos will help understand the difference of Mellow and see that development and progress to the current e-skate standards was the goal. 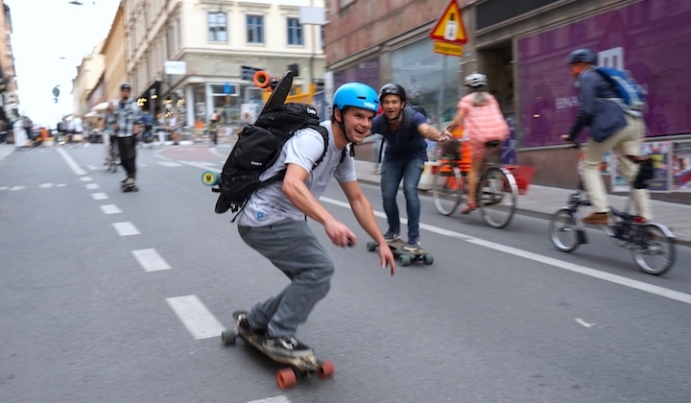 Over the past 3 years we have put our nerdy brains to the challenge of making the best electric skateboard you can buy answering your demands of making e-skating more simple, reliable, accessible, powerful but safe, flexible and air-travelled approved! Stay tuned for a new part every Wednesday for the next 6 weeks and hopefully this spring you will join the Mellow family too! Watch the other CYESDT? episodes HERE.